Browns Canyon National Monument is a new national monument designated by presidential proclamation just last month. The Friends of Browns Canyon website has information and maps for visitors. We camped two nights at Ruby Mountain campground (site #3) in the Arkansas Headwaters Recreation Area. This campground is walking distance to the trailhead for the national monument. The campground is very basic with no water (other than the river), no electricity, and no dumpster for trash. Nevertheless, I would stay there again. The sites are dispersed, and views of the Collegiate Peaks and Arkansas River are excellent. 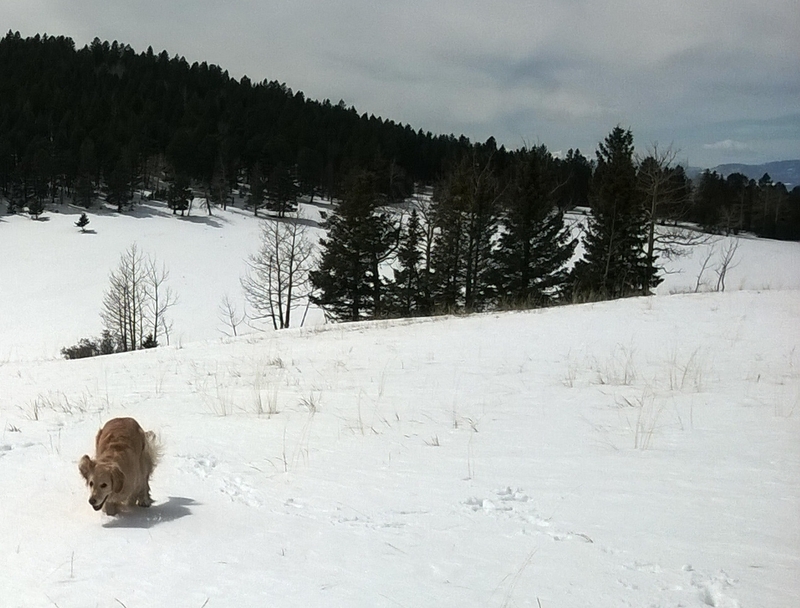 For our day-hike, we hiked the Turret trail and Catkin Gulch Loop trails. 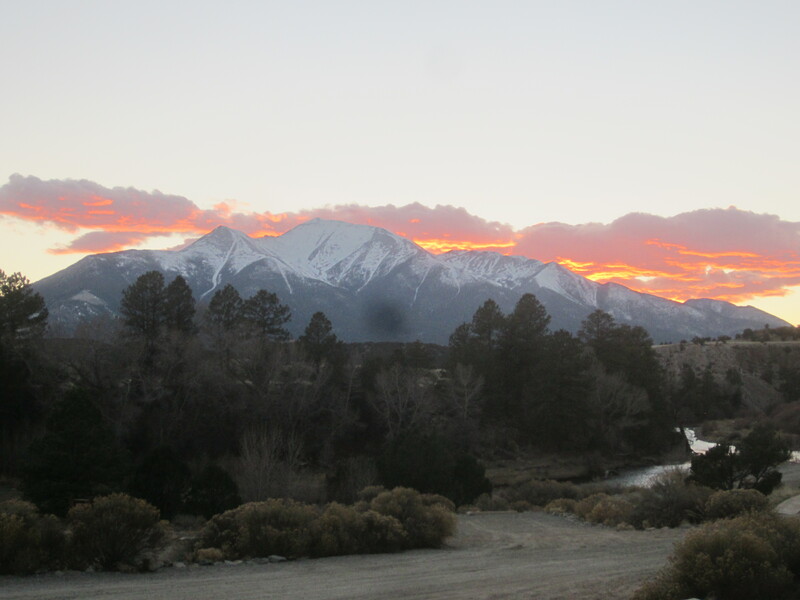 The area offers views of the Sangre de Cristo mountains to the south, Mt. Ouray and Mt. Chipeta to the southwest, Mt. Shavano, Mt. White, Mt. Antero, Chalk Cliffs, Mt. Princeton, Mt. Yale, and Mt. Columbia to the west. On these trails, there were many times when I was compelled to just stop and attempt to absorb the beautiful scenery visible in every direction. The trail system itself in this area seems relatively undeveloped. This is not surprising, since it’s a new national monument and was previously a wilderness study area. A good amount of the trails follows dry stream beds. And, it’s not always clear where exactly to exit the stream beds in order to get back onto the hiking trail. Catkin Gulch Loop actually leaves the national monument and enters the San Isabel National Forest for its easternmost section. I lost the trail twice in the Catkin Gulch Loop area, but found my way back using the topographical map and landmarks. Because of the difficult route-finding and distance, I’d rate this trail system medium-to-difficult. Remember to take plenty of water if hiking Catkin Gulch–the Arkansas River is not that close. This is a great option for an off-season camp/hike. Ruby Mountain campground is low elevation and open year round. We encountered next to no snow on the hike, even though it’s early spring. The Arkansas River valley is known for mild winters. 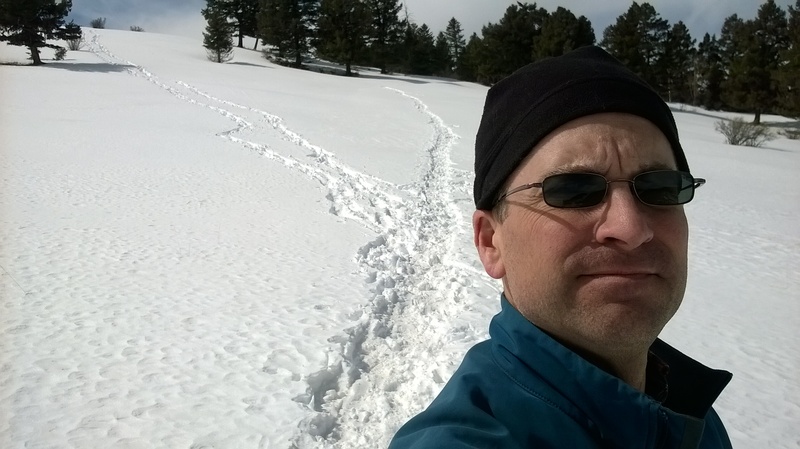 Time: <1 hour Weather: about 45 degrees, partly cloudy This is a short trail off of state hwy 67 near Victor, Colorado. At the top, it offers fair views of the Sangre de Cristo mountains to the south, the Collegiate peaks to the west, and Cripple Creek north. 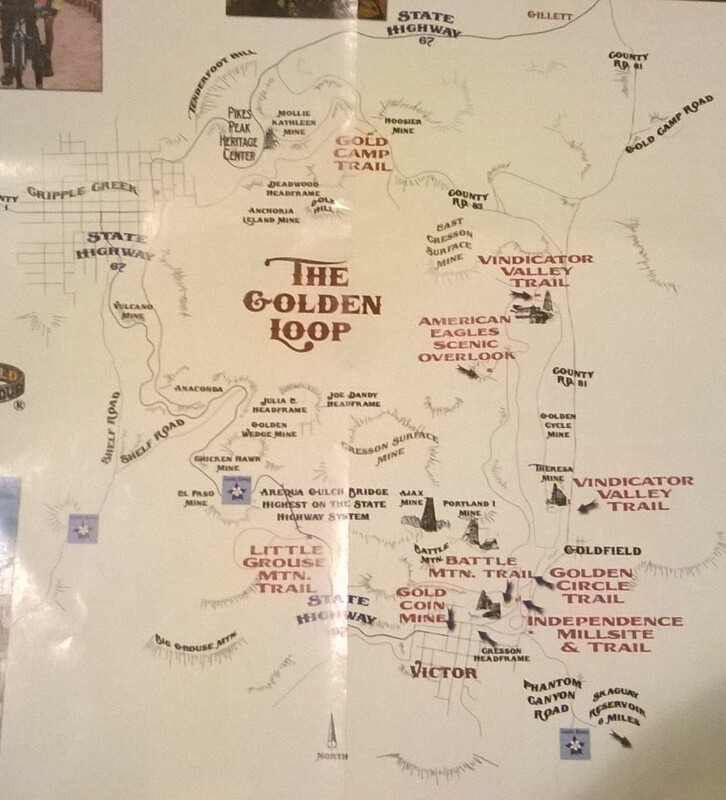 It is one of several trails in the region around Cripple Creek and Victor known as The Golden Loop. We drove up to Victor from the South on Phantom Canyon Road, which is a part of the Gold Belt Scenic Byway. Other sections of the byway include Shelf Road and High Park Road. This is the first time I’ve made the drive in Winter. It was muddy in places, but passable. The area is really popular for golden Aspen leaf viewing in the Fall. 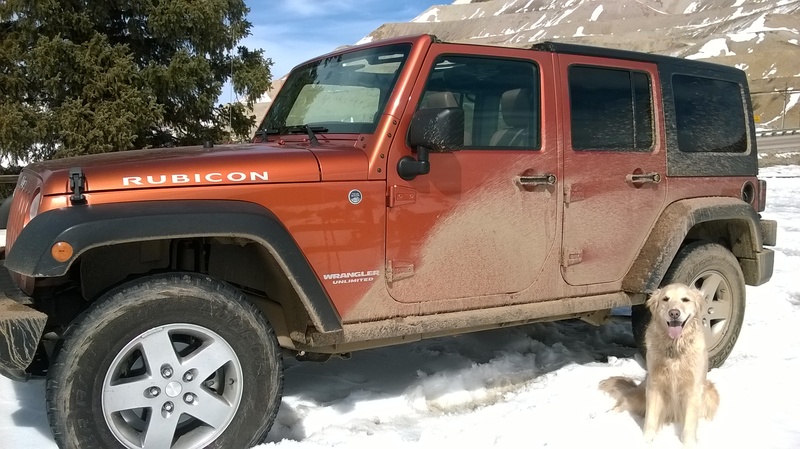 Today was just warm enough to take the tops off, and enjoy the views in Phantom Canyon. On the way to Phantom Canyon, we stopped at Coyote’s Coffee Den off of hwy 115 in Penrose. This place doesn’t look like too much from the outside, with a dirt parking lot. But, it has good quality food, pastries, and a nice patio with outdoor seating. Recommended!